Louise is a managing director in Global Investment Research at Goldman Sachs, New York, NY. She joined the London office of Goldman Sachs in 2002 as the senior analyst covering European Financial Institutions and relocated to New York in 2004 to cover the banking and REIT sectors globally. Louise began her career at JP Morgan in London in 1996 as a corporate bond trader, and moved to Credit Research in late 1997. After four years at JP Morgan, Louise joined Credit Suisse First Boston in London as a vice president and became the senior analyst covering European Financial Institutions. 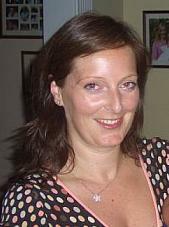 Louise earned a B.A., with honors, in Hispanic and Latin American Studies from the University of Bristol, United Kingdom, in 1996. Louise is also a director of the Board of the University of Bristol Foundation, Inc., in the United States. For the past six years she has sponsored six students in attending private high school through the Student Sponsor Partners organization. While in high school, Louise learned to play the piano, cello and double bass, although currently she is focused on appreciating others’ musical skills due to the demands of her banking career. Born and raised in Newcastle upon Tyne, UK, Louise resides in Manhattan with her two beloved cocker spaniels. She is an avid sports fan, stemming from her father’s former career as a professional soccer player.